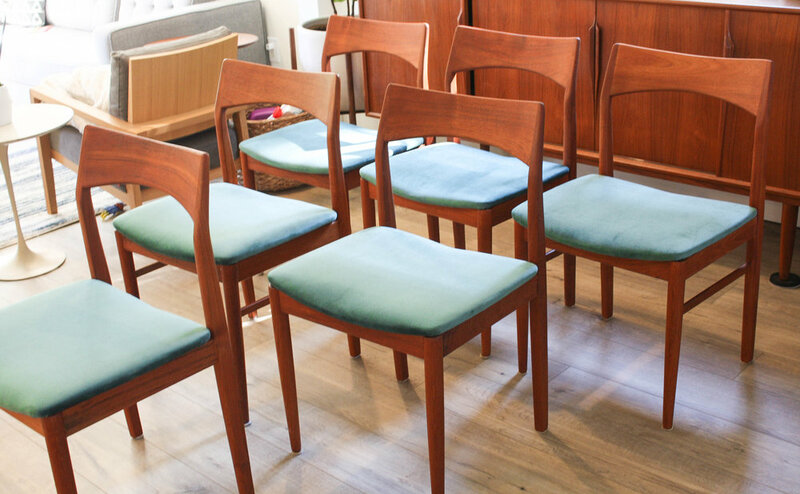 Mid Century Danish modern teak dining chairs designed by Henning Kjaernulf for Vejle Støle OG. Møbelfabrik. Beautifully Sculpted, these comfortable pieces feature a typical Danish organic design, solid teak frames, and clean jade velvet upholstery. These vintage chairs have a simple understated appearance and work well with a clean/minimal aesthetic. 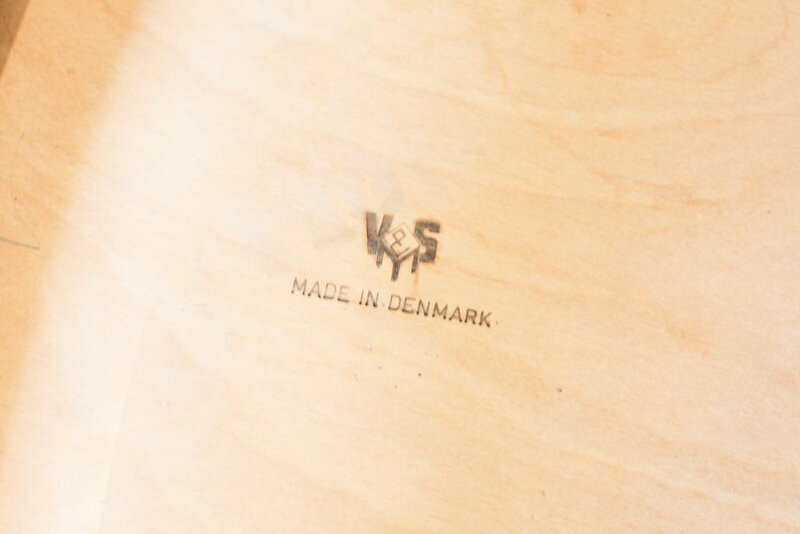 Clearly branded with maker and designer details under each seat. The jade seats are a gorgeous emerald green/blue color that lightens depending on how the light shines off the seat.